From the A40 turn off onto the road to Llangattock (by the Shell Garage). The Business Centre is located at the bottom of the hill on the right hand side, just before the bridge traffic lights. 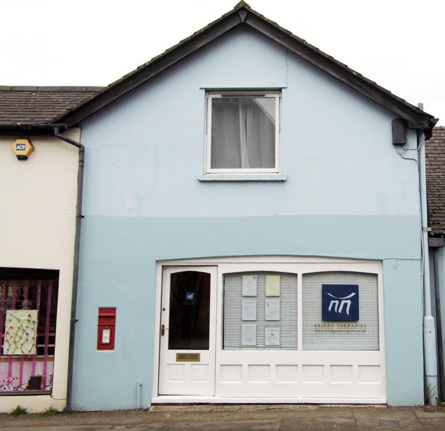 Bridge Therapies is next door to the hairdressers. There is parking available behind the Business Centre. Take the turning alongside the building, then turn sharp left into the car park behind the building. Limited! Buses do run between Brecon and Abergavenny but for up to date timetable information, we suggest you contact Stagecoach South Wales at Stagecoachbus.com or telephone 01685-384628.